A newlywed pregnant woman and her father are in critical condition after being shot just hours after the wedding in Southwest Philadelphia. It happened around 10:30 p.m. Sunday night, 5/20, outside the woman's home on the the 5800 block of Hadfield Street in Kingsessing. The 23-year-old woman, who is 5 months pregnant with twins, was shot in the leg and hip. Her 74-year-old father was shot 10 times. They were taken by private vehicle to Presbyterian Medical Center and are in critical condition. This started with a domestic argument outside the home involving a man from a past relationship. Detectives say that two different caliber weapons were used. They are looking for two men and and a woman. The suspects fled in a white Mercedes GLS. Police are reviewing surveillance cameras in the area. A two-vehicle accident sent one car into a clothing store and two people to the hospital in Hunting Park. It happened at 10:20 a.m. Monday, 5/21, on the 700 block of East Hunting Park Avenue. A female driver hit another vehicle while leaving the parking lot of a shopping center. Police say she then hit the accelerator instead of the brake and drove through the front of the Rainbow clothing store. She was taken to Temple University Hospital in stable condition. The male driver of the other car was also taken to Temple, but in critical condition. There appears to be no structural damage to the store. The accident is under investigation. 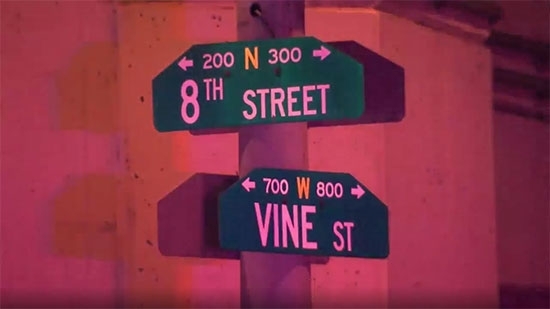 Philadelphia Police say that a man fell from the I-95 off ramp to the Vine Street Expressway early Monday morning while fixing a broken down car with his family. It happened at 12 a.m. Monday. The 18-year-old lost his balance and fell off the highway and down 30 feet onto 8th and Vine St. below. He was taken to the hospital with a serious head injury for surgery. Police are investigating the cause of the fall.